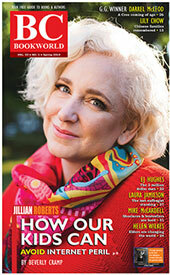 Born in Vancouver in 1952, former librarian Sarah Ellis is one of the foremost writers for children in Canada. During her ten years as a librarian she developed her storytelling and puppetry; and she spent a year at the Center for the Study of Children's Literature at Simmons College in Boston. She now writes reviews and gives lectures internationally on Canadian children's books. Her other books include Putting up with Mitchell, a light-hearted look at visiting Vancouver from a child's perspective, and picture books Big Ben (2001) and Ben Over Night (2005), illustrated by Kim LaFave. Days of Toil and Tears (Scholastic, 2008) is the fictional diary of a young girl in Almonte, Ontario, set in 1887. After moving out of an orphanage and in with her aunt, Flora begins to work at the mill, enduring long hours and dangerous machinery. The book provides young readers with history on the Canadian textile industry and child labour at the turn of the 19th century. In 1995 she won the Vicky Metcalf Award for a Body of Work, and in 1999 she was the first Writer-in-Residence children's author at Massey College at the University of Toronto. She was also a finalist for the Norma Fleck Award for her non-fiction The Young Writer's Companion. In 2007 Sarah Ellis won the $20,000 TD Canadian Children's Literature Award established in 2005 to honour the most distinguished book of the year for children aged 1 to 13. Entries were judged on the quality of the text and illustrations and the book's overall contribution to literature. The publisher of Ellis' Odd Man Out (Groundwood) also received $2,500 for promotional purposes. Odd Man Out (Groundwood, 2006). The Queen's Feet (Red Deer Press, 2005). Illustrated by Dusan Petricic. Ben Over Night (Fitzhenry & Whiteside, 2005). Illustrated by Kim LaFave. Big Ben (Fitzhenry and Whiteside, 2001). Illustrated by Kim LaFave. Girls' Own: An Anthology of Canadian Fiction for Young Readers (editor). Toronto: Penguin Books, 2001. A Prairie As Wide as the Sea: The Immigrant Diary of Ivy Weatherall. Toronto: Scholastic Canada, 2001. Next Stop. Illustrated by Ruth Ohi. Toronto: Fitzhenry and Whiteside, 2000. From Reader to Writer: Teaching Writing Through Classic Children's Books. Toronto: Groundwood Books, 2000. The Young Writers' Companion. Toronto: Groundwood, 1999. Back of Beyond: Stories. Toronto: Groundwood, 1996. Out of the Blue. Groundwood, 1994. Putting up with Mitchell. Illustrated by Barbara Wood. Vancouver: Brighouse Press, 1989. Next-Door Neighbours. Toronto: Groundwood, 1989. The Baby Project. Toronto: Groundwood, 1986. [Alan Twigg / BCBW 2018] "Kidlit"
Amy plots nasty revenge on her twin. Rita gets her license and drives alone for the first time. The new kid at Curtis' school has webbed fingers. The unsettling and the unexplained haunt the teenagers in Back of Beyond (Groundwood $9.95), short stories by Vancouver's Sarah Ellis. IN 1987 SARAH ELLIS BECAME THE FIRST recipient of the Sheila A. Egoff Prize for her first book, The Baby Project (Groundwood $6.95). This fall she is the author of two new books, Putting Up With Mitchell (Brighouse $9.95) and Next Door Neighbours (Groundwood $7.95). After reading approximately one book per day throughout her childhood, Ellis naturally turned to storytelling when, as a critic for Horn Book magazine and as a North Vancouver children's librarian, she found herself surrounded by a community of writers in Vancouver. "1 wanted to see if I could do it. That must occur to anyone who gets pleasure out of children's books." The Baby Project is a modern family story with a cast of believable characters adjusting to a new baby in the home. Mom jogs and works on her computer; Dad drives taxi or stays at home with the kids. After ll-year-old Jessica is taken aback by the news that her mother is pregnant, she and a school friend enthusiastically adjust by monitoring her mother's 'baby project' as a school science project. With a sudden twist of direction and tone, the baby dies and the narrative shifts from comic warmth, quirky wit, and sharp characterization to tragedy. The reactions of Jessica and her family are dealt with sensitively and honestly. "I intended on writing a wholly sunny book like Lois Lowry," says Ellis, "a funny, warm family story. It kept getting serious on me. I knew the children were unhappy but I didn't know about what. I picked the baby's death because it didn't involve blame; it was a bolt from the blue." In a previous interview Ellis has elaborated on the unpremeditated origins of the tragedy. "The part about the baby dying is just made up. It hasn't happened to me and I don't know anyone it's happened to. I did read a long and scholarly book on sudden infant death syndrome, just to make sure I didn't get anything wrong, but that was the extent of the research." As in The Baby Project, a Vancouver setting is subtly evoked in Ellis' new novel, Next Door Neighbours, set in the 1950's. Vignettes and Ellis' low-key, offbeat sense of humour propel the quietly-paced story of 12-year-old Peggy who has just moved from the country to the city. Ostracized by her new schoolmates, Peggy forms, over a long shared summer, an unlikely friendship with her neighbours, a Chinese cook and a Russian immigrant. The multicultural aspect of the story is true to the Vancouver of the 50's as well as the Vancouver of today. Ellis does not subscribe to the school of thought that children need lots of plot. eat an ice cream cone." Her latest book, Putting Up With Mitchell: My Vancouver Scrapbook, is full of charming details in concert with the exuberant and whimsical illustrations of well-known graphic artist Barbara Wood. While visiting their grandmother in Vancouver, Elizabeth and her loudmouth younger brother Mitchell are taken on day-trips to Vancouver landmarks such as the UBC Anthropology Museum, the Vancouver Art Gallery, the Ho Ho Chop Suey restaurant ("Does Santa Claus live here?" Mitchell asks), the aquarium and the Bloedel Conservatory. more capable of recognizing the amount of work that went into the making of a lacklustre book. But, she adds, "I still hate to be disappointed. I want people to do betternot get away with cheap effects and cliched thinking." Ellis' voice in her Horn Book column is refreshingly intimate and often inspiring. She quotes Michelle Landsberg: "One simple, but I think valid, touchstone for literary criticism is to ask whether it leads you back to the book that is its subject." 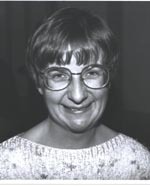 Ellis began writing for the prestigious American children's book review while attending Simmons College Center for the Study of Children's Literature in Boston There she met editor Ethel Heins and they agreed that Canadian children's books had reached the stage of deserving international recognition and conceived the idea of a column on Canadian children's books.